Our Florida medical licensing service will save you time and Money! We will research your entire professional history from Undergraduate School to date to obtain information such as mailing addresses and contact information for the purpose of verifying your credentials to the Florida Medical Board. We are also able to research Medical License numbers, issue dates, and expiration dates. We will assure you professional completion of your Florida medical license application, as well as professional completion of all letters and forms necessary to request verification of your credentials for the Florida medical board. Your Florida Medical License application will be assigned to one file manager in our office who will be your point of contact. You will have continuous access to your file manager during the entire application process. An update on your file will always only be a simple phone call or email away. Healthcare Licensing Services, Inc. specializes in helping physicians apply for medical licensure in the state of Florida. Florida is world-famous for its resorts, its warm climate, and its welcoming lifestyle. Blessed with remarkable natural beauties and many areas on the National Park Service list, Florida shows population and economic growth year after year. 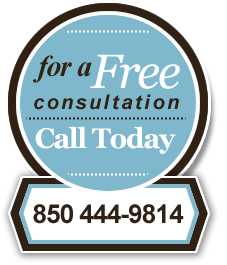 Click here to contact us and learn more about our Florida medical license service. The Florida Medical Board does not accept payment cash for the initial license fee. The Florida medical Board requires all applicants to submit to a FBI criminal background check. The Florida Board of Medicine General Statutes requires that you have a valid Florida medical license to practice medicine in Florida. The Florida Medical Board recommends that you do not make any commitments based upon expectation of licensure until you are actually licensed. The Florida Medical Board does not accelerate one application at the expense of another, particularly if there is a premature commitment to start practicing medicine. All applicants are handled equally and fairly. The application and background check fees are non-refundable fees. However, if the Florida Board fails to certify you for licensure, the initial license, NICA, and dispensing fees will be refunded to you. Applications are processed by the postmark date. Mail, Emails, and phone calls are processed in date order received. Once the application is received in the Board office, investigative inquiries are mailed (to postgraduate training programs and medical staff offices). An initial review of the application and the supporting documentation is then made at which time the applicant is notified, in writing, of any deficiencies or any additional documentation that is required from either the applicant or from any other source. International medical graduates must have a valid standard ECFMG certification at the time of application and have completed 2 years of ACGME approved postgraduate training. However, if applying on the basis of a 5th pathway program proof of passage of Part II of the National Board of Medical Examiners or the ECFMG equivalent, 5th pathway certificate, an undergraduate degree from a U.S. College or University and 2 years of ACGME postgraduate training are required. Personal Appearance: Appearances before the Credentials Committee or the Florida Board of Medicine may be required for a variety of reasons, e.g. malpractice claims, medical education, postgraduate training, disciplinary actions, etc. If an appearance is required, written notification will be mailed which includes the date, time, location and the reason(s) for the appearance. The Credentials Committee meets every other month beginning in January. Practitioner profile from the American Medical Association. All applicants are required to submit two current original letters of recommendation. Each letter must be, addressed to the Florida Board of Medicine, from a colleague (M.D.) who has factual knowledge of the applicant’s personal and professional qualifications. Letters from relatives are unacceptable.